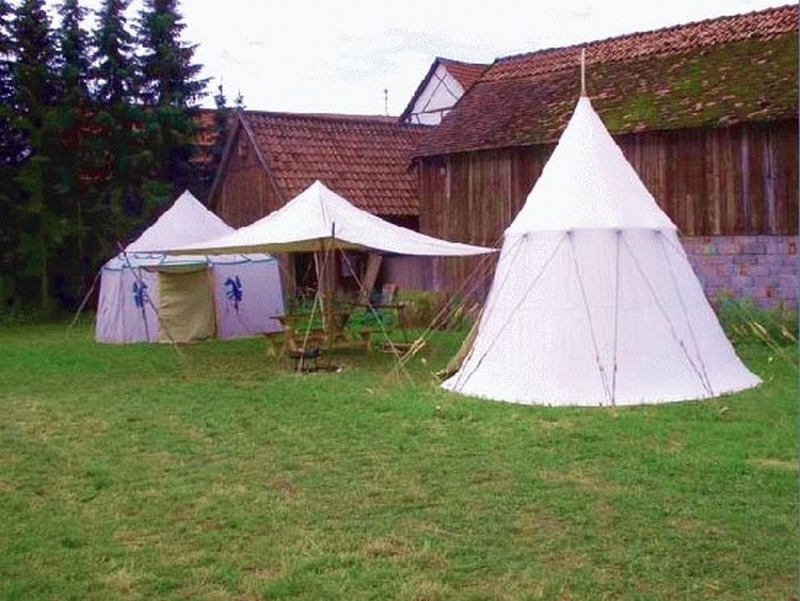 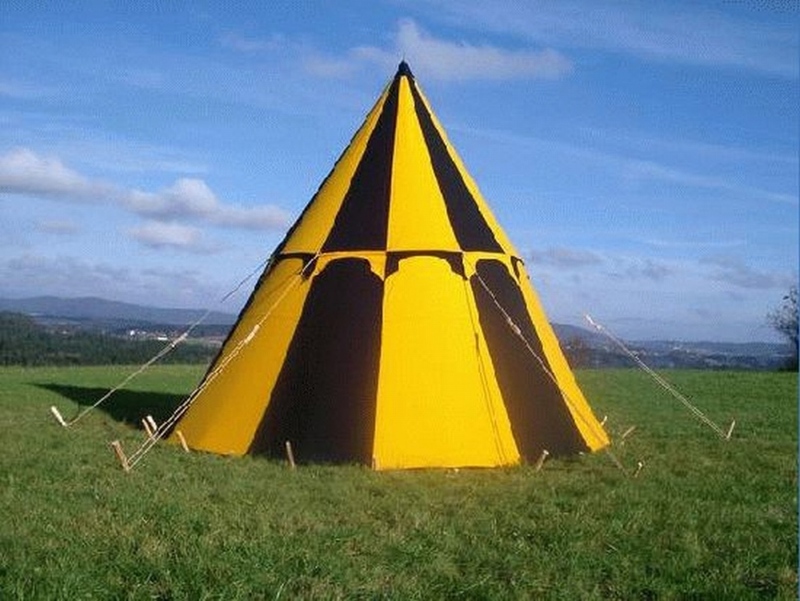 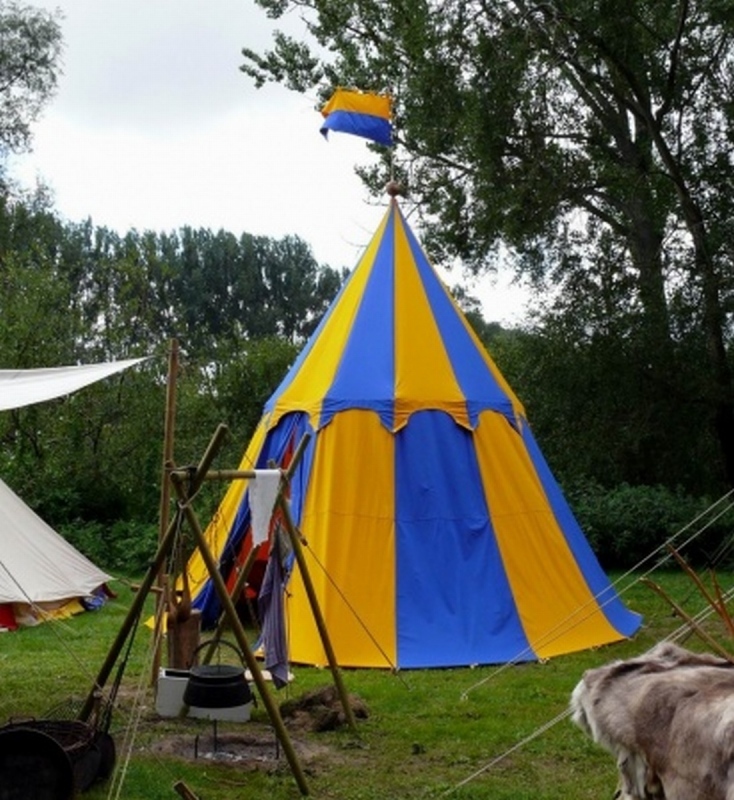 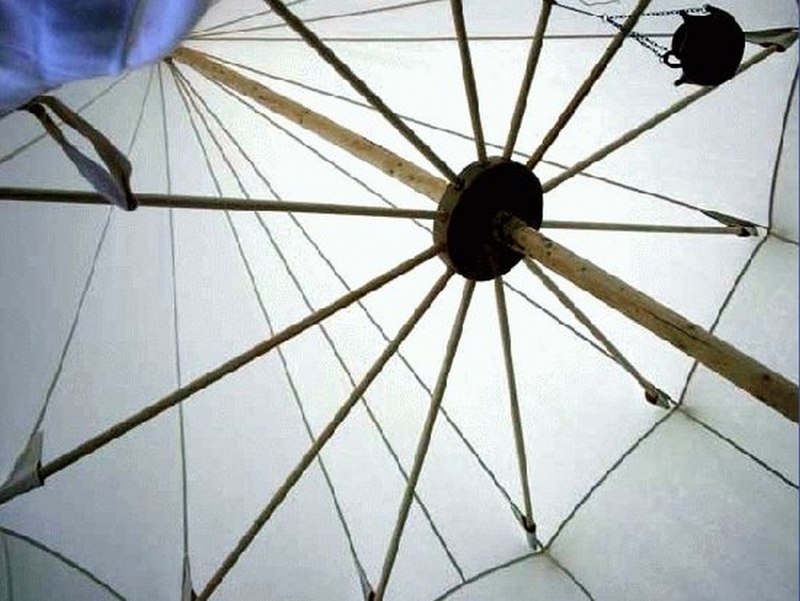 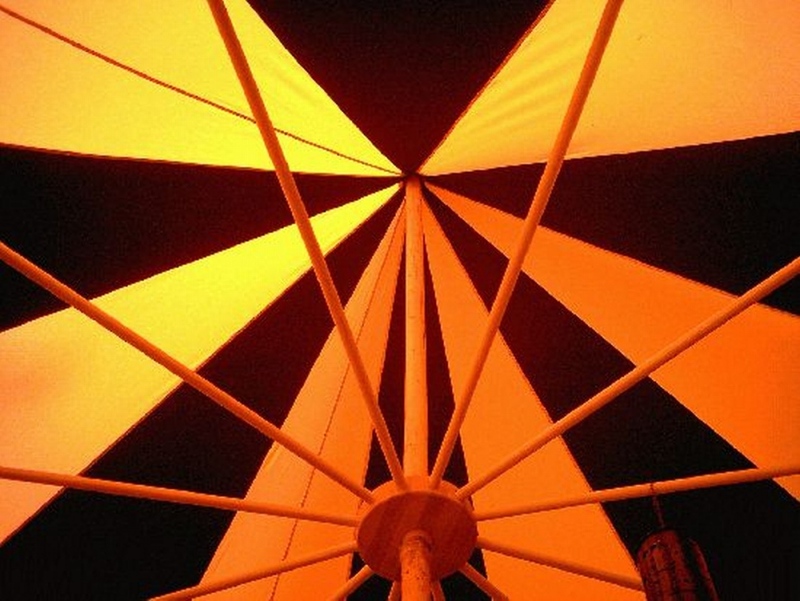 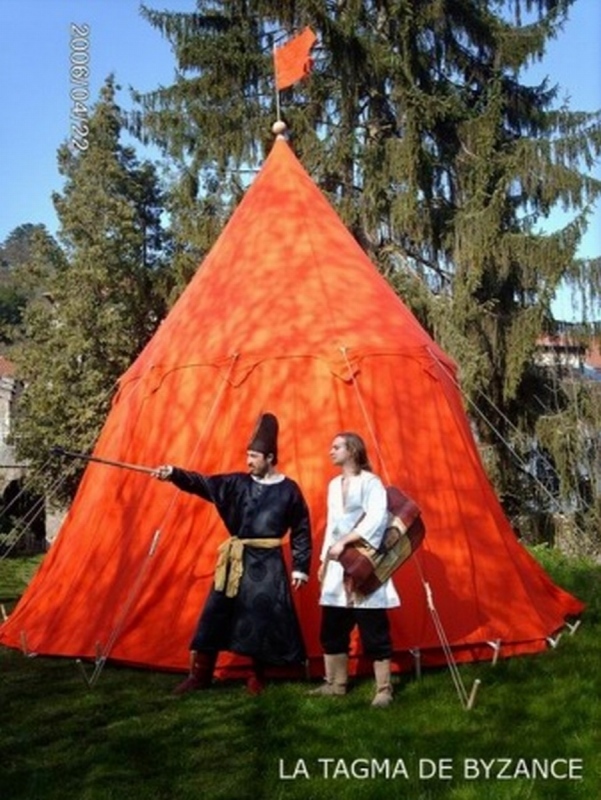 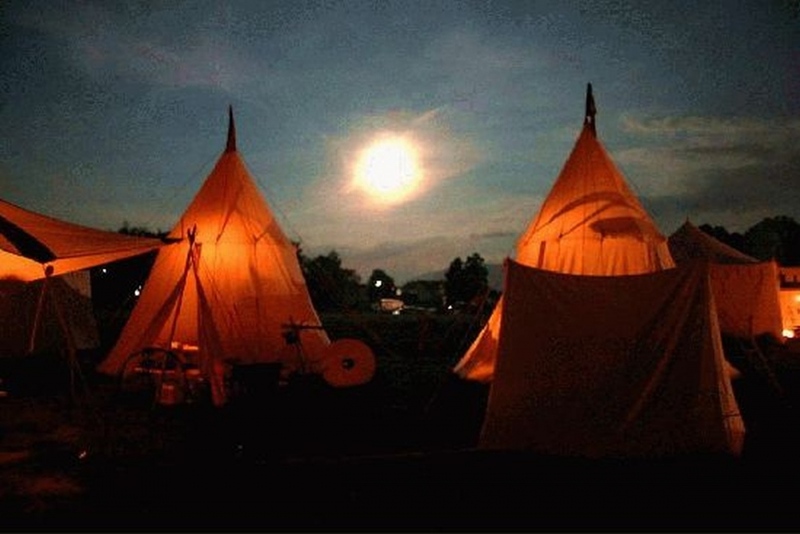 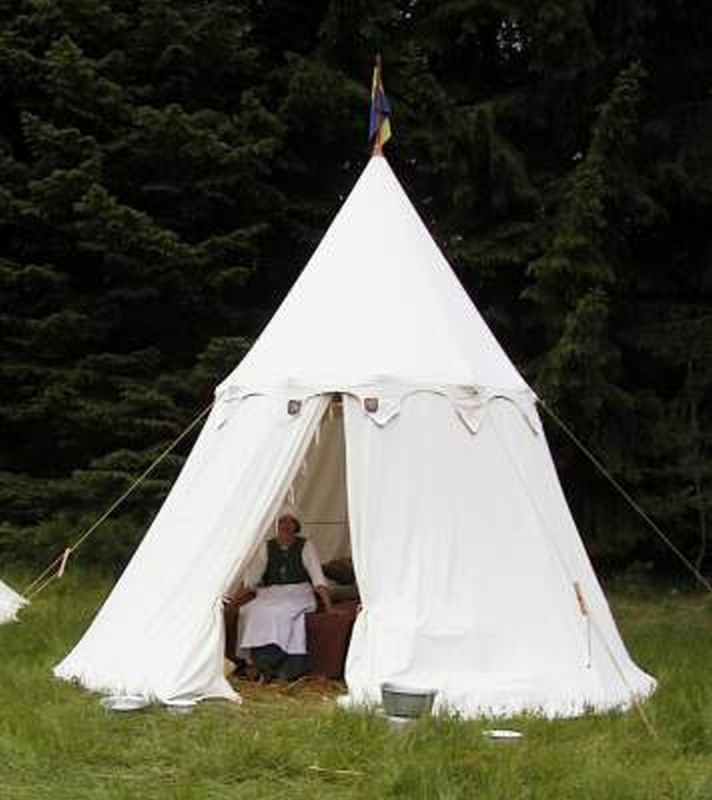 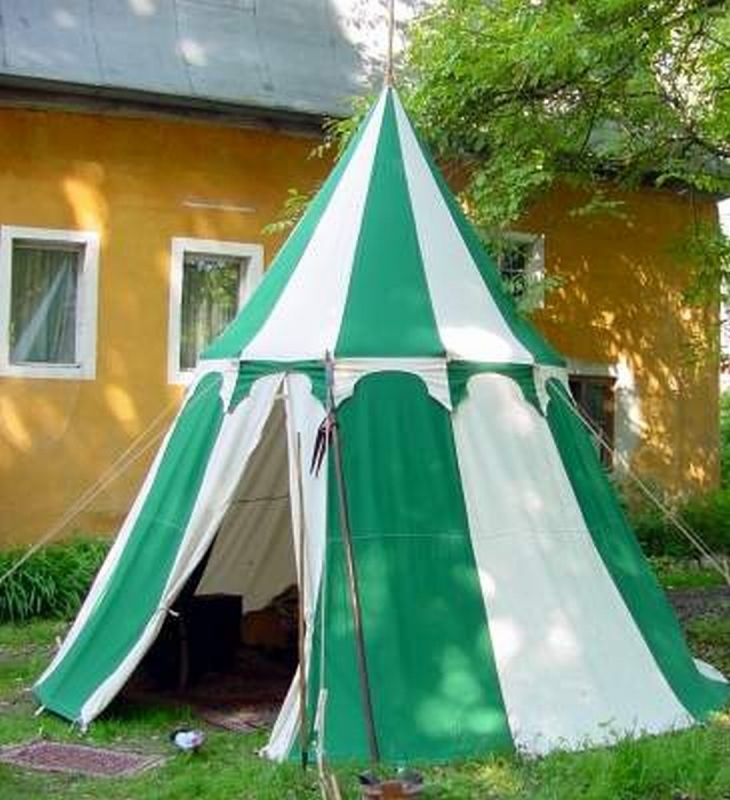 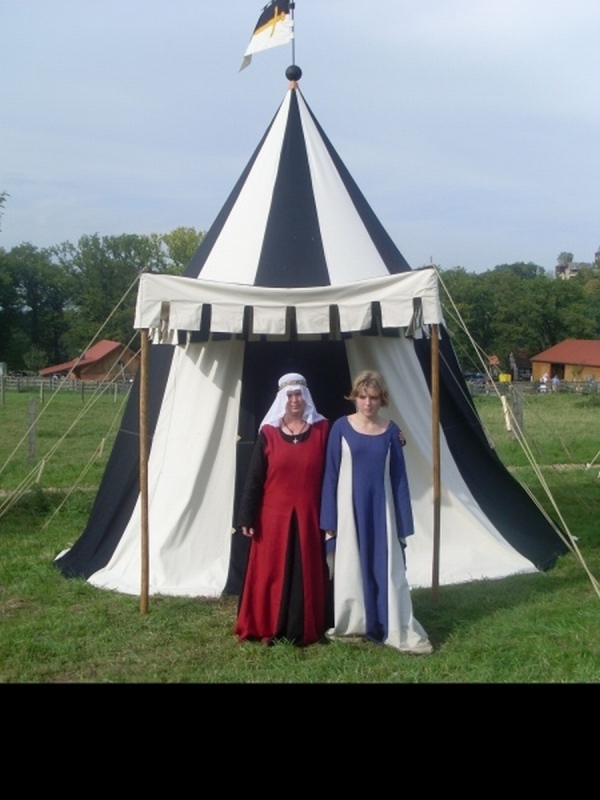 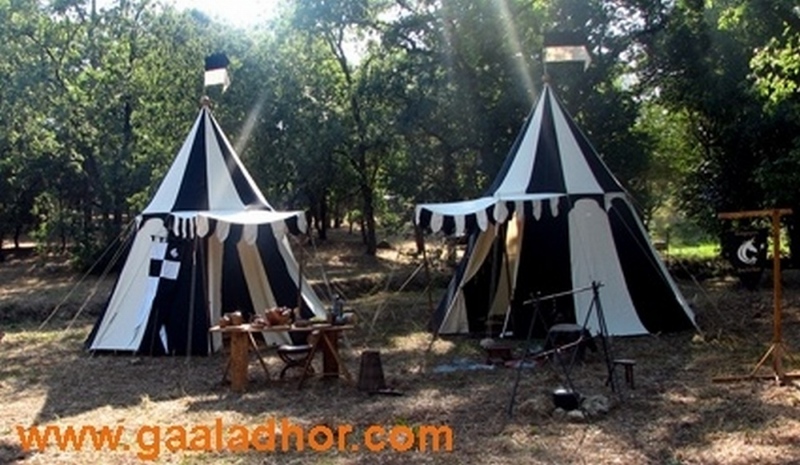 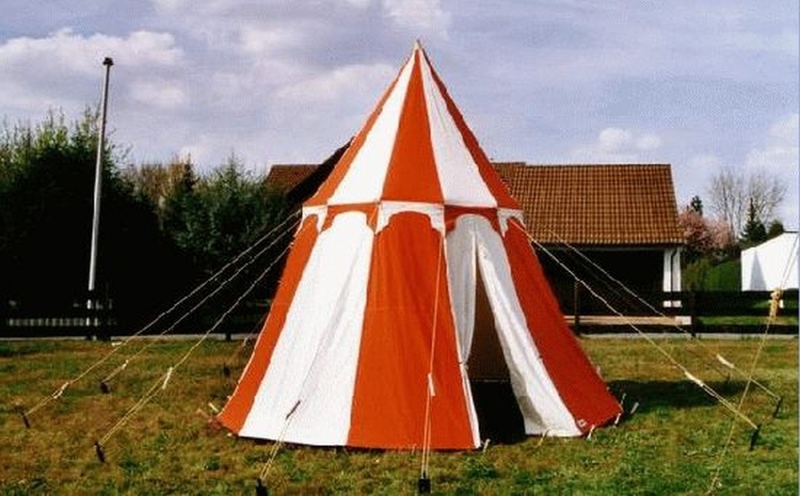 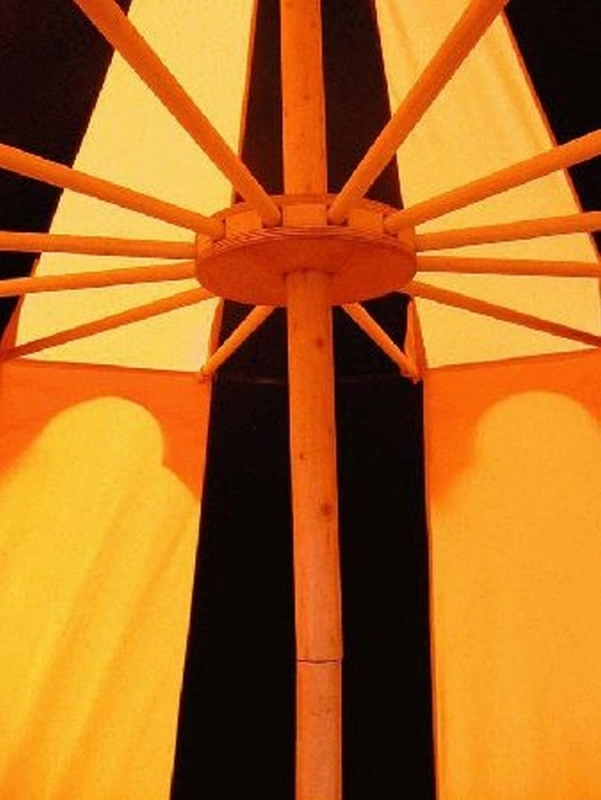 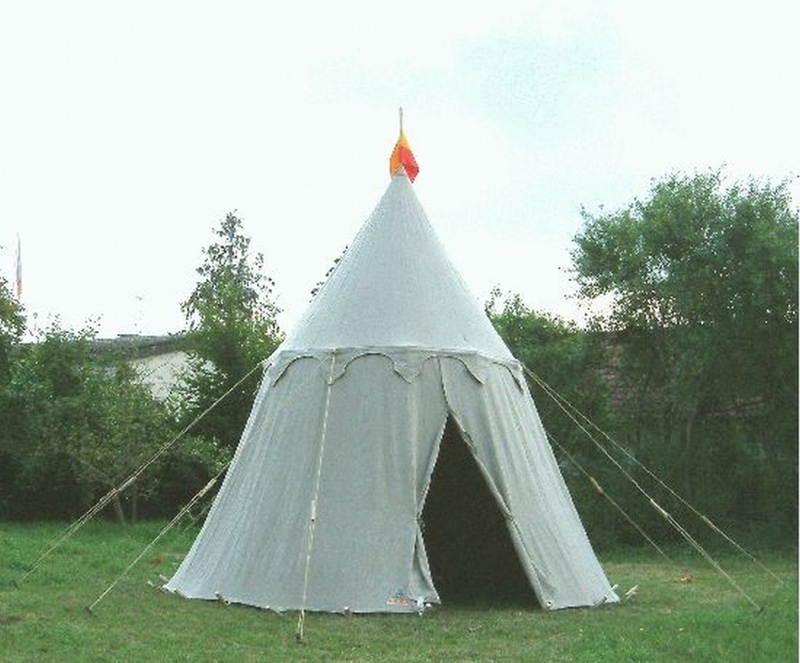 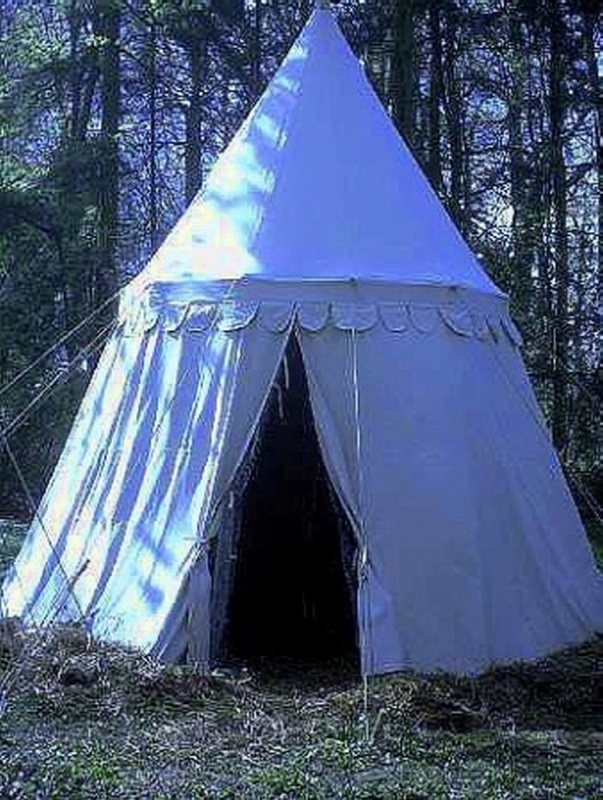 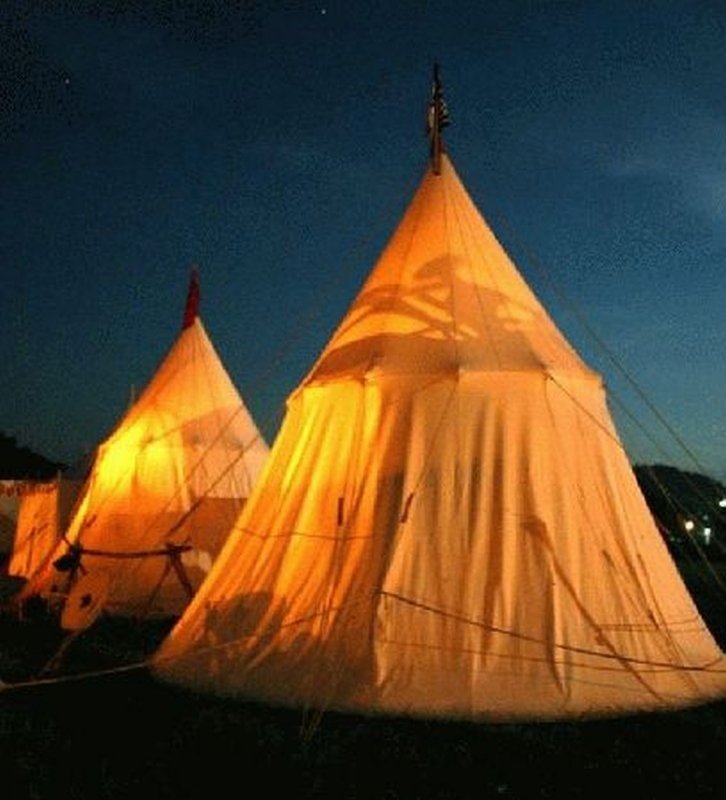 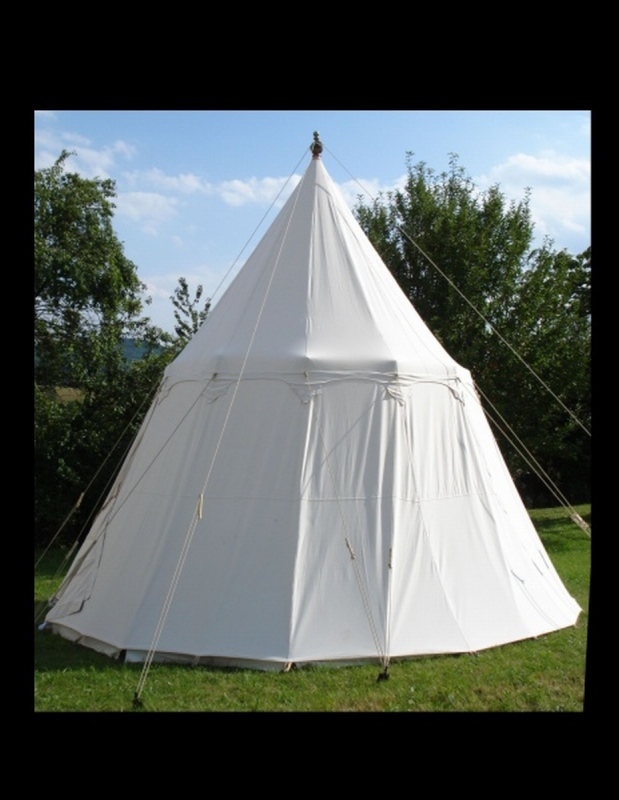 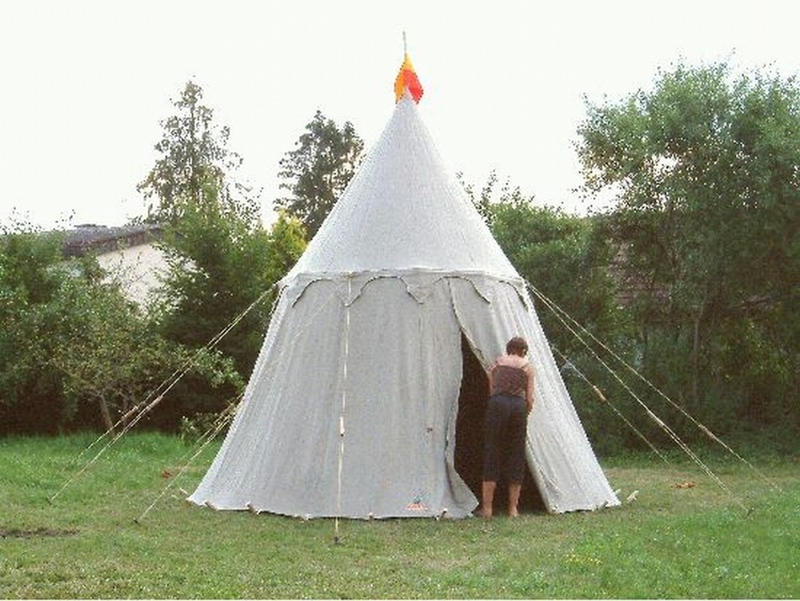 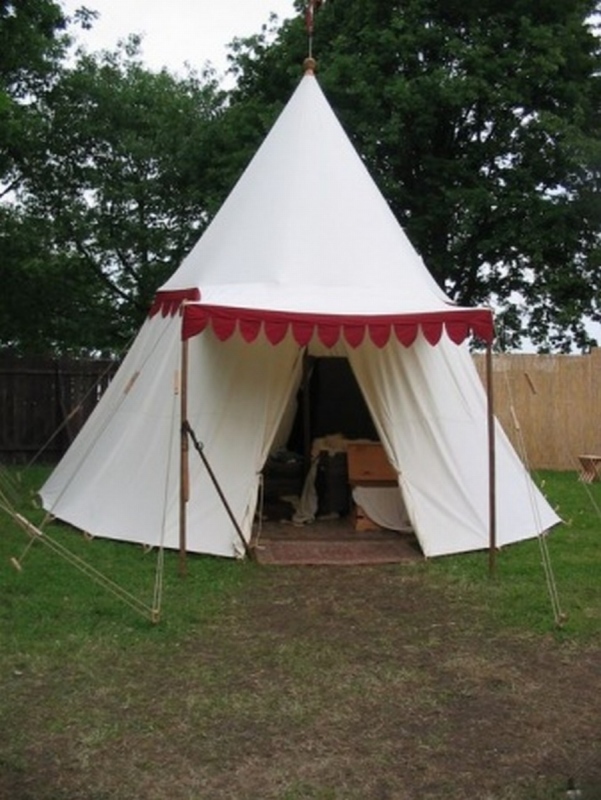 A visually impressive round tent, similar to the Avalon except with a steeper, more conical shape. 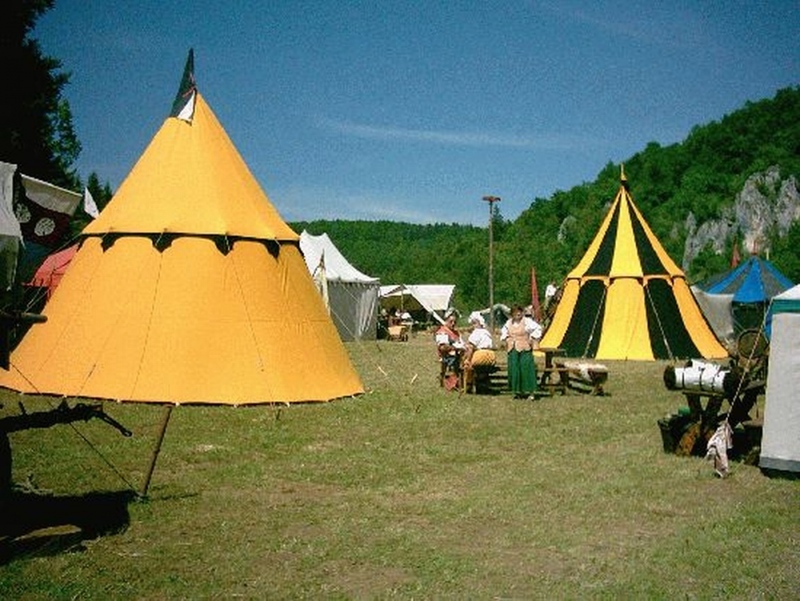 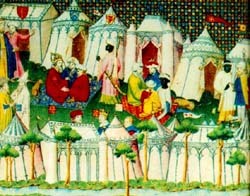 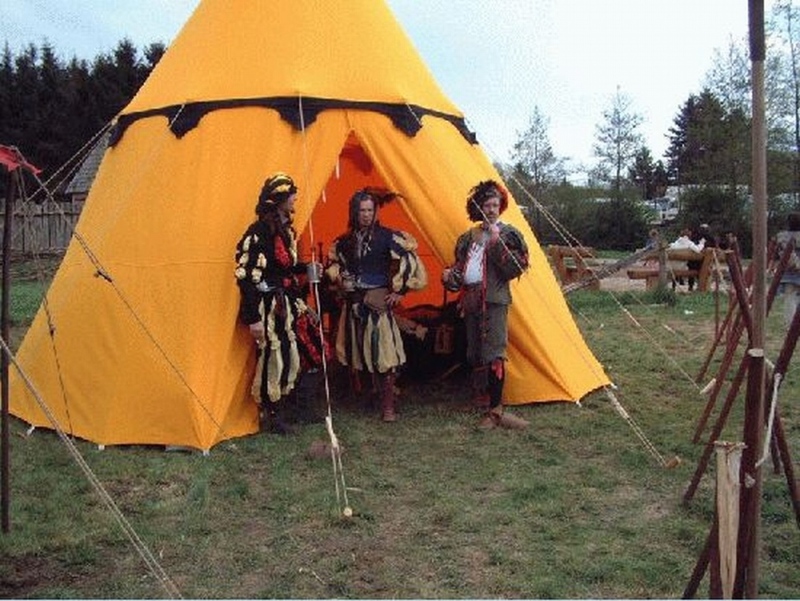 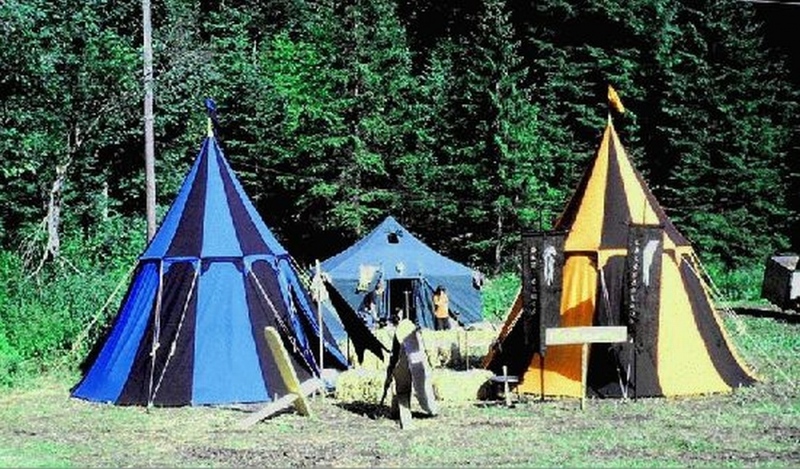 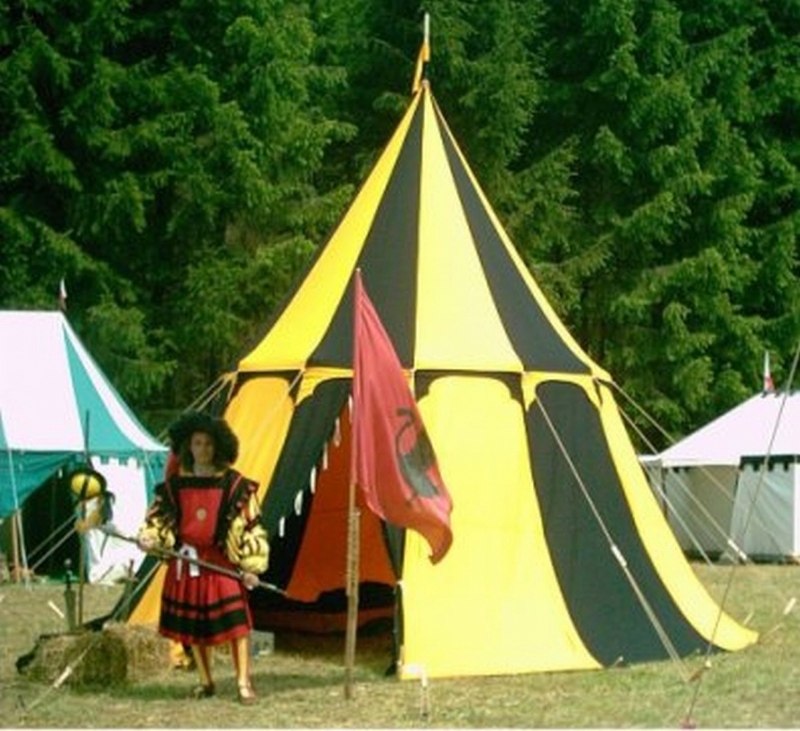 The spokes are made of ash, a strong and flexible hardwood commonly used in tents and weaponry (such as spear-shafts) throughout the medieval period. 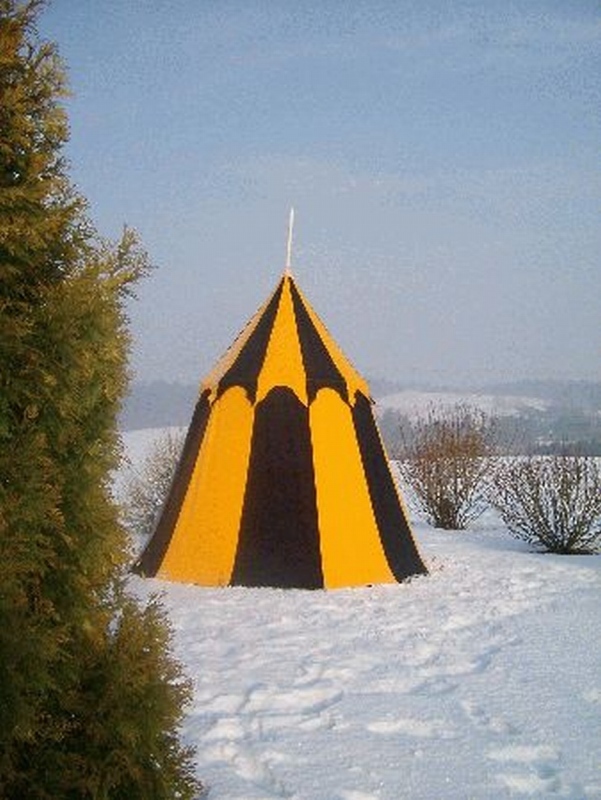 See the colour chart for the range of colours available to really make your Merlin 'pavilioned in splendour'.